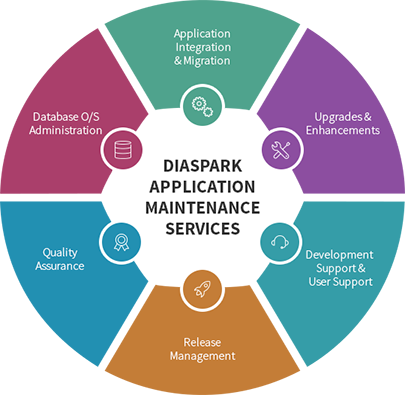 Diaspark’s Application Maintenance & Support Services deliver maximum application efficiency and availability with reduced maintenance costs and lower system outages. Our team of experts effectively manage clients’ mission critical IT application and business processes to provide extended services for hardware, software, application, database, health check-ups, patches and updates. We follow a user-specific approach to keep technology, people, architecture and service at the core focus.